← Inaugural John Clare Memorial Lecture with Professor Nick Groom a Success! Season’s Greetings from SOTA Research! The last two weeks at SOTA research have been hectic but good, with three events which rounded off the term in style. 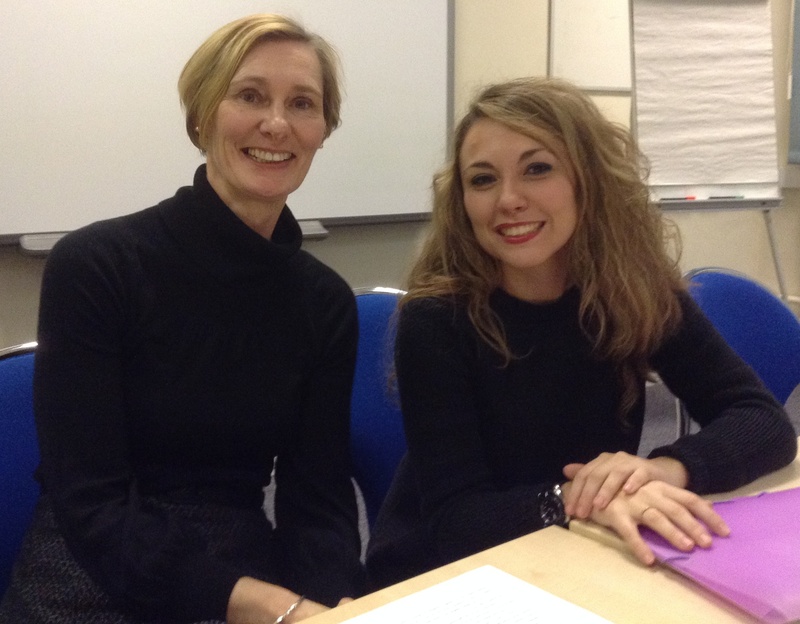 Chaired by Dr Sonya Andermahr, on 11th December 2014, Dr Silvia Pellicer-Ortin from the University of Zaragoza, Spain, gave a talk on ‘Emerging Voices: British Jewish Women Writers’ to English staff, MA and BA students. Professor Philip Tew, Dr Claire Allen and Dr Sonya Andermahr. On 12th December, we enjoyed the Inaugural John Clare Memorial Lecture (click here for the full report) while on 17th December, Dr David Simmons, Dr Sonya Andermahr, Dr Claire Allen and special guests, Dr Nicola Allen (The University of Wolverhampton) and Professor Phil Tew (Brunel University, London) reassessed the twentieth-century canon. 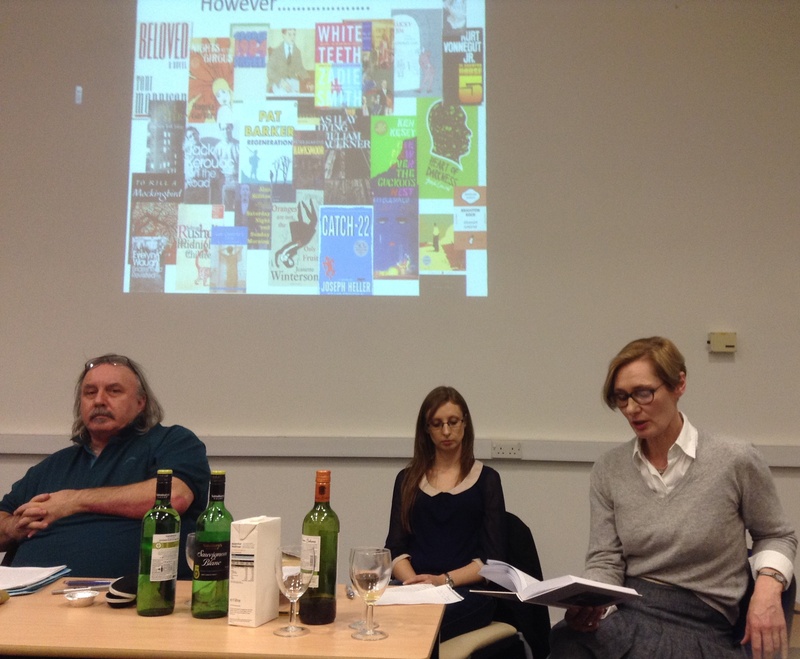 Dr Simmons and Dr Nicola Allen discussed the editorial process behind their 2014 Palgrave collection, while Dr Andermahr addressed the legacy of Jeanette Winterson’s, Oranges Are Not The Only Fruit , Dr Claire Allen analyzed Alasdair Gray’s Lanark and Dr Phil Tew revisited Zadie Smith’s, White Teeth. Finally, congratulations to Abiodun Kafaru who has successfully passed his PhD in Fine Art and well wishes to Nadia Anwar and Maurici Jimenez who have just submitted their PhD theses for examination. 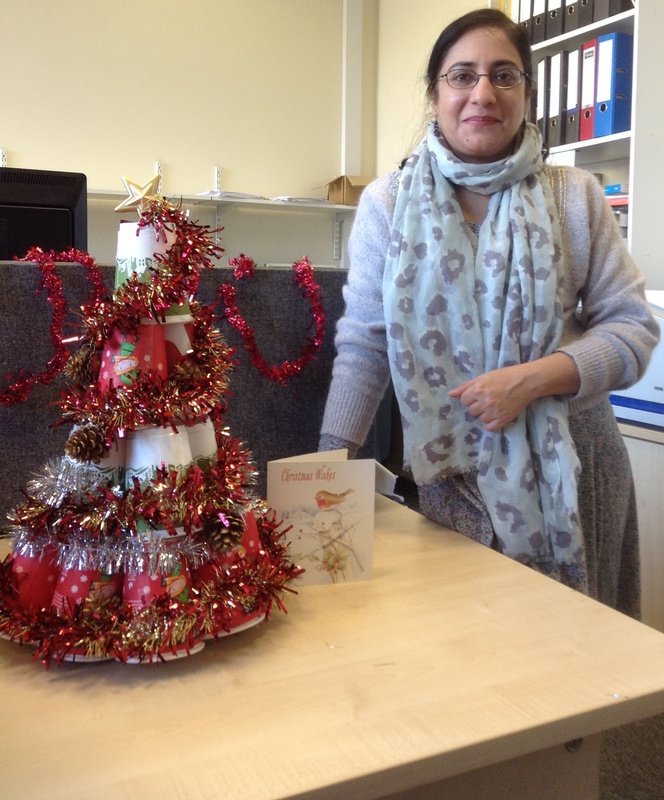 Getting in the festive spirit, post-writing up, Nadia built the MY119 postgraduate study room their very own coffee cup Christmas tree! Season’s Greetings and a Happy New Year from SOTA Research! Nadia Anwar and our ‘Upcycled’ Christmas Tree. Posted on December 23, 2014, in Events, News, Research Institutes and Centres, School of the Arts. Bookmark the permalink. Leave a comment.